I think we all know by now how devastating Hurricane Maria had been for the island (and US territory!) of Puerto Rico and how much more help they still need. Most of the people in Puerto Rico don't have access to clean water, shelter, and power. If you're unsure of how to help, there are plenty of ways. In fact, there's a very easy way. Just go out and do what you normally do - go out to eat and drink at 100s of LA restaurants next week, from October 7-14. 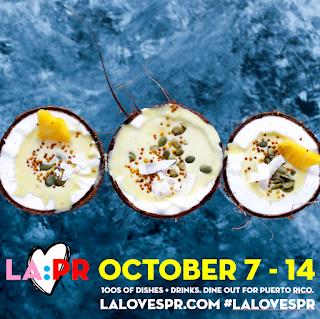 Just be sure to order certain special dishes, where these LA restaurants and bars and their great chefs and mixologists have pledged 100% of the proceeds from those items to Unidos por Puerto Rico for a campaign called LA Loves PR. Unidos Por Puerto Rico / United for Puerto Rico is an initiative brought forth by the First Lady of Puerto Rico, Beatriz Rosselló, in collaboration with the private sector, with the purpose of providing aid and support to those affected in Puerto Rico by the passage of the hurricanes. 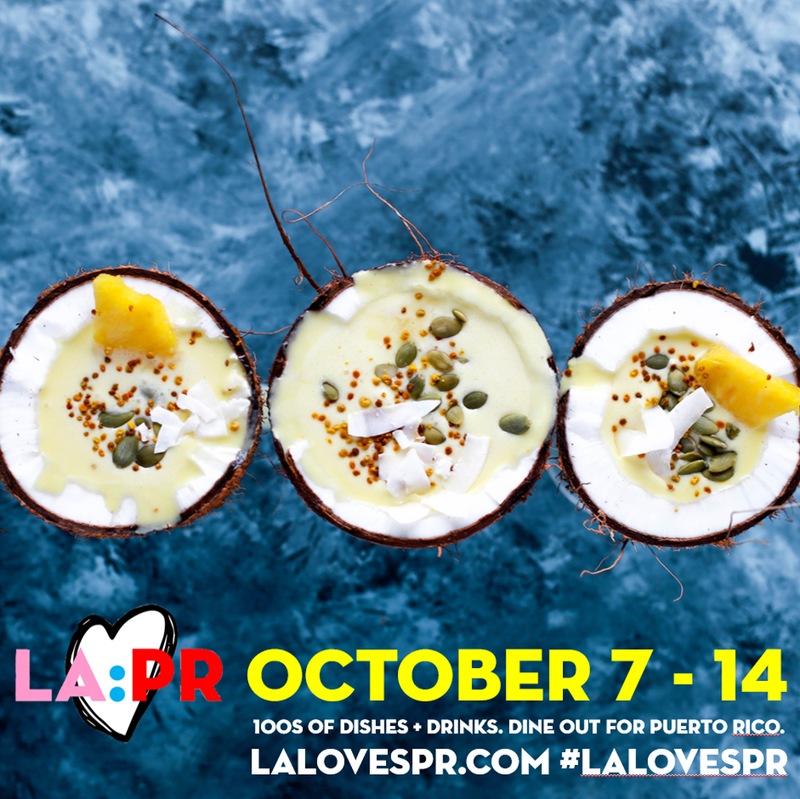 There are more than 85 establishments participating and offering great special dishes and drinks - because our LA peeps are awesome. You can find the full list here. 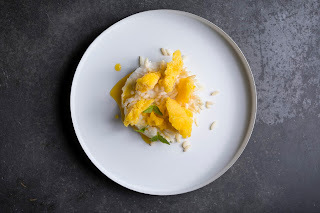 As an example: the coconut rice pudding with mango passionfruit sorbet at Woodley Proper. Other participating restaurants include Georgie, Miro, Lucques, Sotto, Rossoblu, The Bazaar by Jose Andres, and many more. Seriously, just take a look. There are some nice cocktails on the list, too, like this Pearl Diver from Accomplice Bar made with Puerto Rican rum, guava, and Gaby's secret Gardenia Mix. 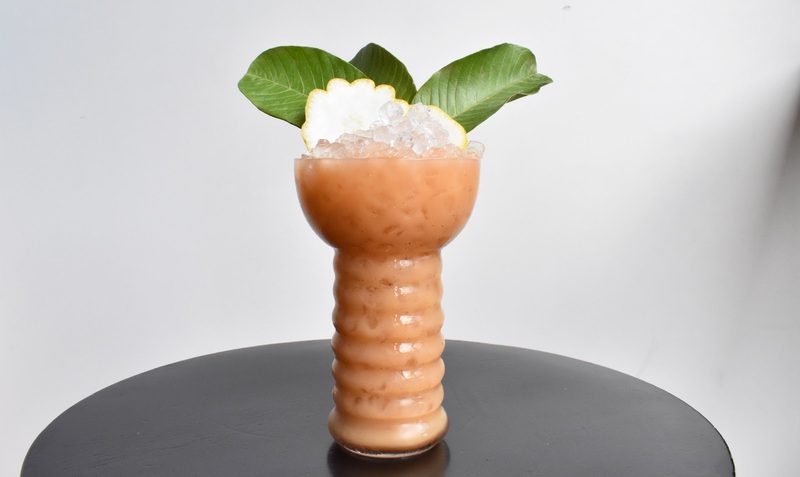 You'll find cocktail specials at Commerson, Cana Rum Bar, Barcito, Harvard and Stone, and others. I urge you, Angelenos, and anyone visiting the city next week. Eat and drink every day, as much as you can, and order these dishes/ drinks. It's for a good - and much needed - cause.